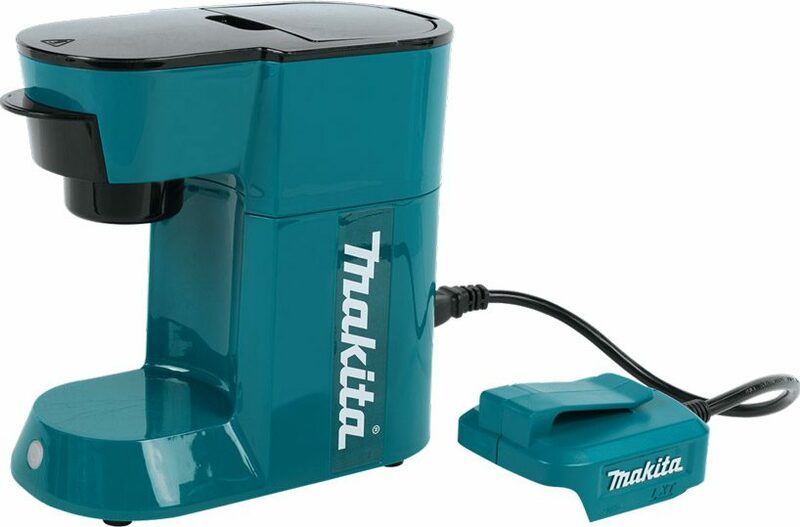 makita has released a new coffee maker, perfect for the construction site worker and his or her hot beverage needs. the CM501D is powered by the same lithium-ion batteries as the cordless screwdrivers and drills produced by the japanese tool maker. the coffee pot is expected to be popular among construction workers without reach of a fully functioning electrical outlets. the model can make a maximum of 5.3 cups of coffee on one18V battery pack charge, from both coffee packs and instant coffee. 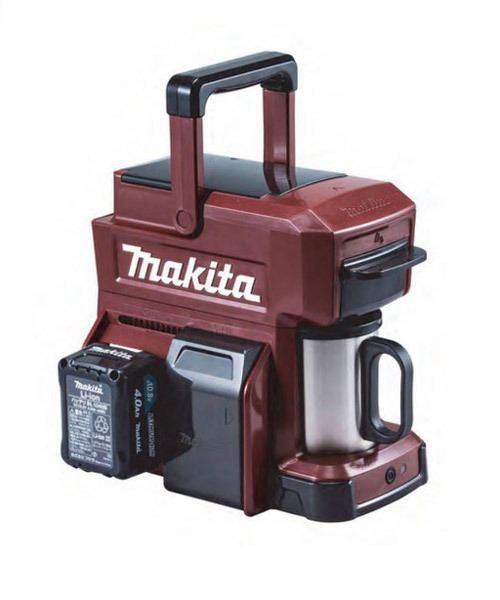 makita’s first coffee maker went on sale in 2015, gaining popularity because it used the same types of batteries for its power. the coffee maker is available in japan and costs about 11,900 yen excluding tax. the battery charger and battery are sold separately. No construction crew I ever worked on had time for a ‘Starbucks Break’. Make your batteries last longer. Is it possible that these batteries will still charge on 240V? Makita sells chargers for their batteries in the US and EU, 120V and 240V. Dewalt – come on you are missing it here….